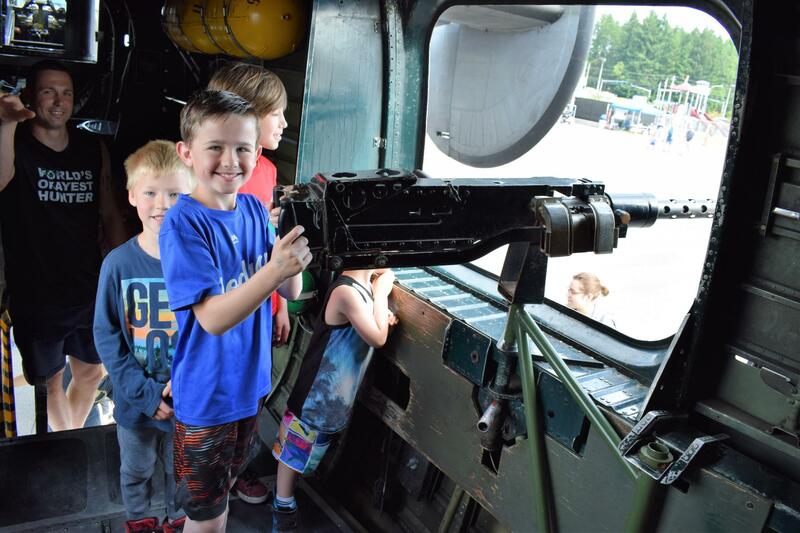 Hundreds of people of all ages enjoyed the B-17, B-24, B-25, P-51 Mustang, and this year also brought the A4 Skyraider on display, June 18-20. Several veterans attended, including a few 95-year old WWII Army Corp Veterans and their families! A thank you to the non-profit, Collings Foundation for bringing this exciting event to KPWT two years in a row. A special thanks also to the Veterans Living History Museum for sharing their amazing displays and the West Sound Military Vehicle Preservation Club for participating. Participating in the Collings Foundation’s Wings of Freedom Tour this year are, the B-17 Flying Fortress “Nine O Nine,” Consolidated B-24 Liberator “Witchcraft,” B-25 Mitchell “Tondelayo” bombers and P-51 Mustang “Toulouse Nuts” fighter. These unique aircraft will fly into Bremerton National Airport from June 18 through June 20, 2018. This is a rare opportunity to visit, explore and learn more about these rare treasures of aviation history. The public is welcome to explore the aircraft inside and out. Cost is $15 for Adults and $5 for children under 12 and covers close viewing and tours through the inside of the aircraft. Flights are also available. Flight experience pricing can be found on the Wings of Freedom webpage. • Monday, June 18: noon to 5 p.m.
• Tuesday, June 19: 9 a.m. to 5 p.m. The 30-minute flight experiences are normally scheduled before and after the ground tour times above. 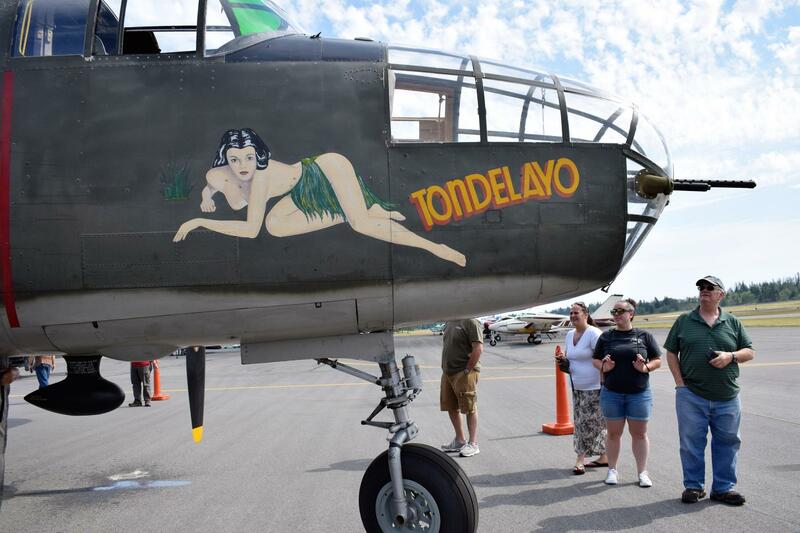 Click here for more details on the Wings of Freedom Tour and their visit to Bremerton.